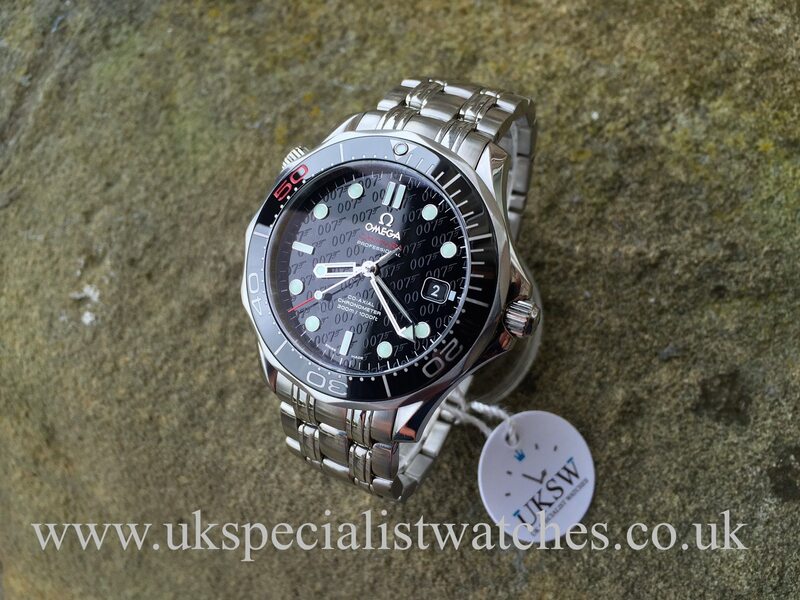 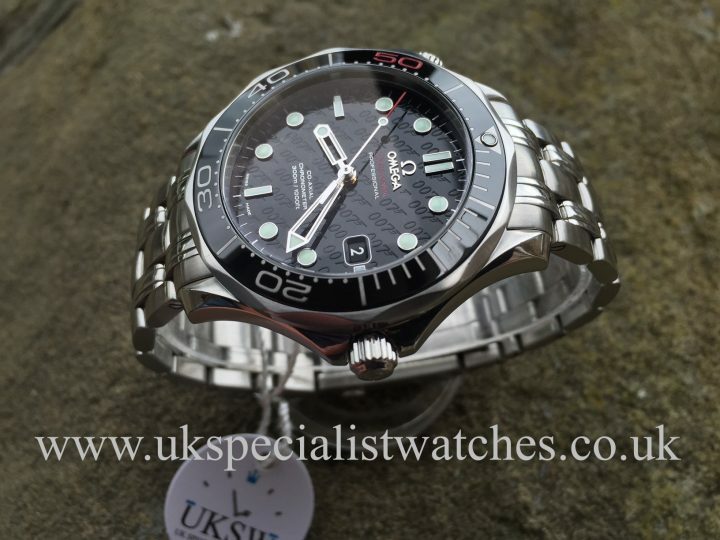 This special Omega Seamaster was made to celebrate 50 years of James Bond. 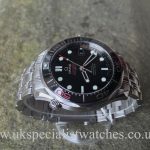 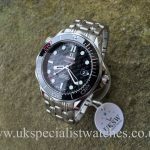 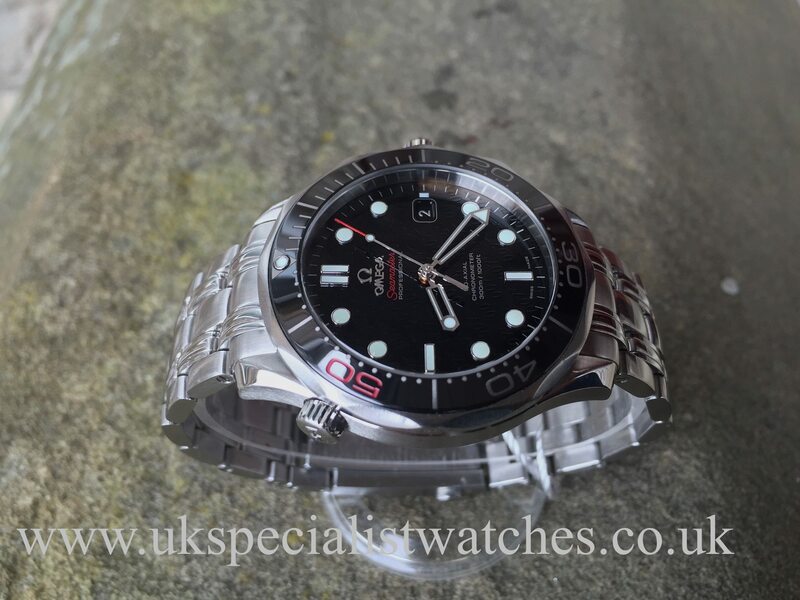 This limited edition piece with a larger 41 mm stainless steel case and the famous “007” logo in a diagonal print across the gloss black dial with a date displayed at 3 o’clock, scratch resistant sapphire crystal glass. 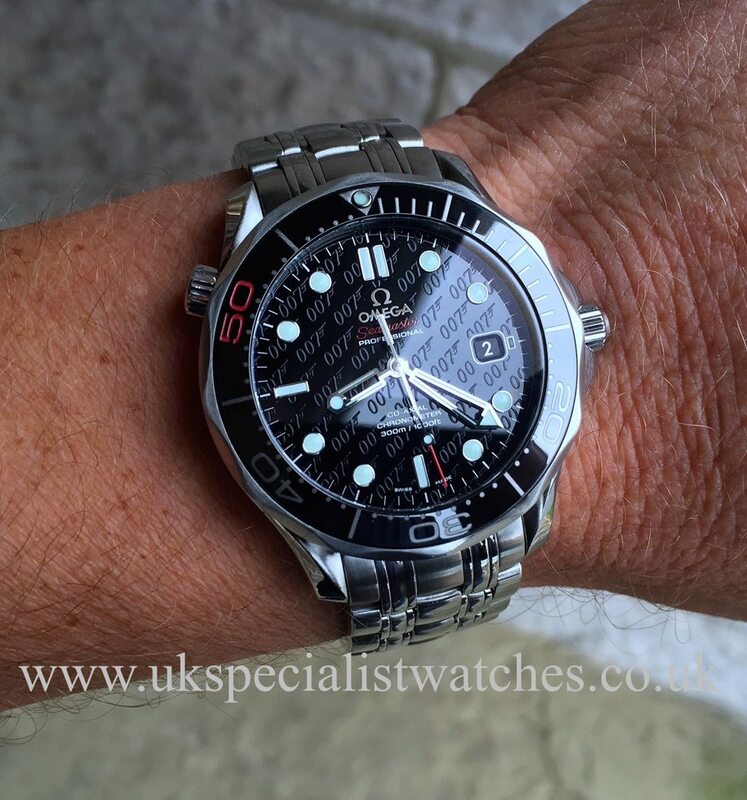 Unidirectional ceramic rotating bezel the red “50” signifying its anniversary. 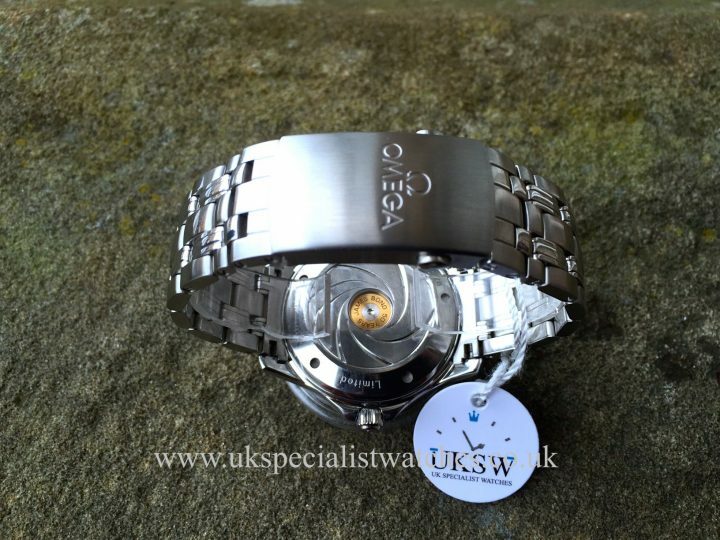 The caseback has a gun-barrel design with a small saphire glass window showing the “bullet” decoration on the rotor. 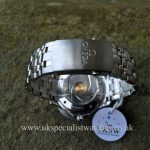 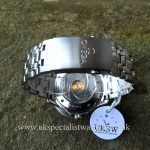 Fitted to a robust polished and brushed stainless steel bracelet with double folding clasp. 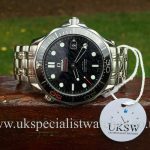 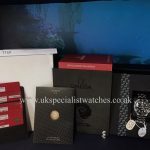 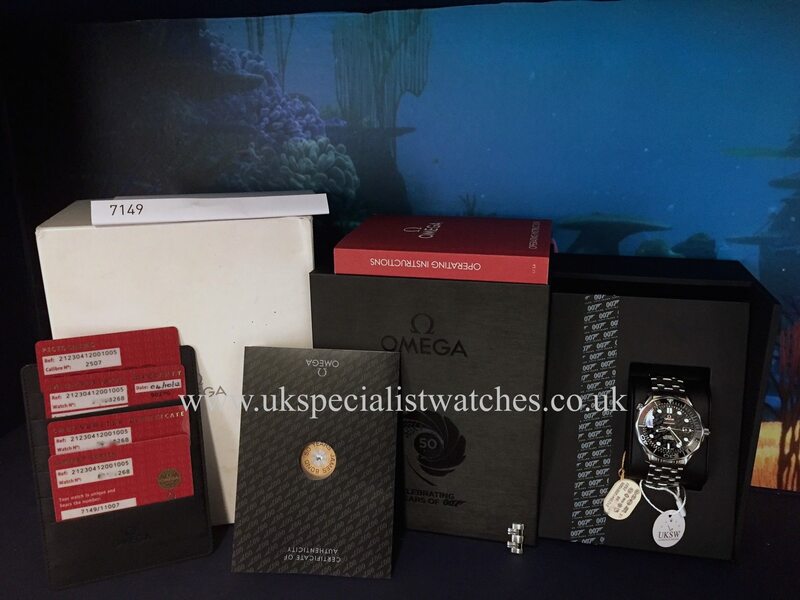 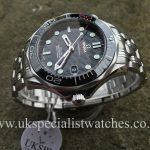 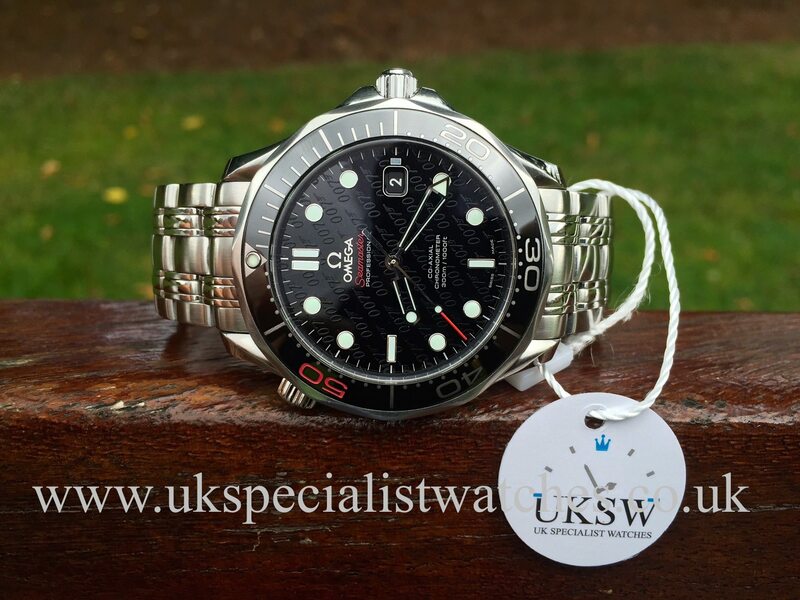 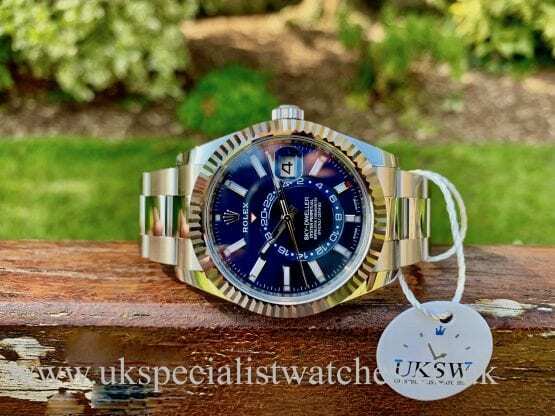 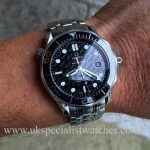 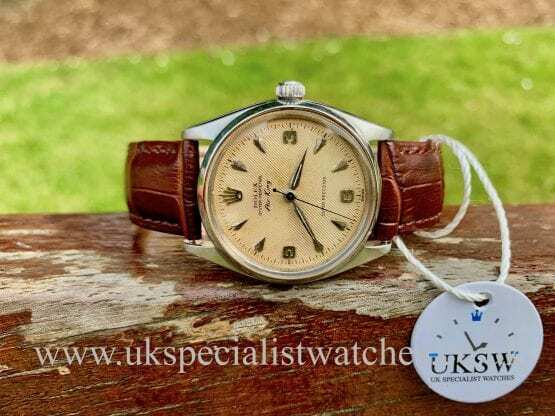 Our one owner October 2012 UK supplied watch comes complete with the very impressive special edition Omega box, stamped warranty card, pictogram and limited edition cards and instruction booklet.